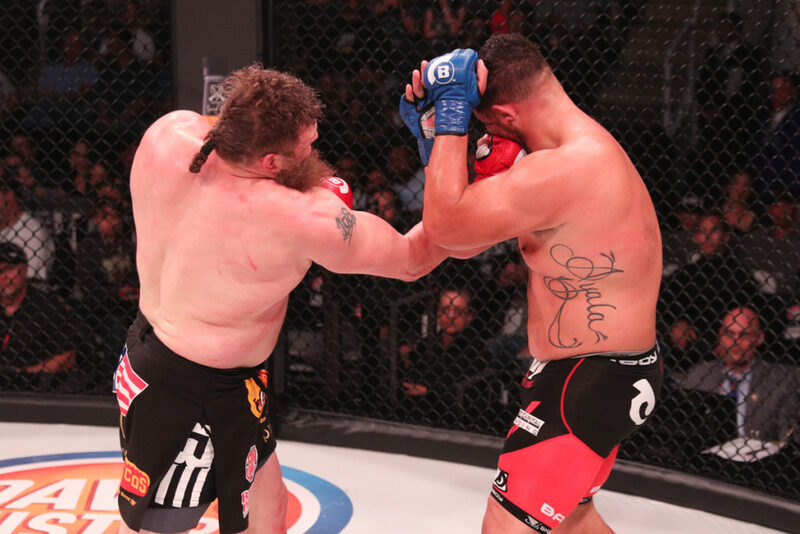 Roy Nelson’s Bellator debut was a success as “Big Country” scored a unanimous decision victory (30-26, 29-28, 29-28) over Javy Ayala at Bellator 183. It may not have been the electrifying knockout finish that fans were hoping for, but Roy Nelson got the job done against a tough heavyweight opponent. With just one KO/TKO win in his last eight fights, it’s unrealistic for us to expect Nelson to land his damaging right hand. Nelson has transformed into a strategic fighter who utilizes his best strengths and nullifies his opponents in order to secure the victory. 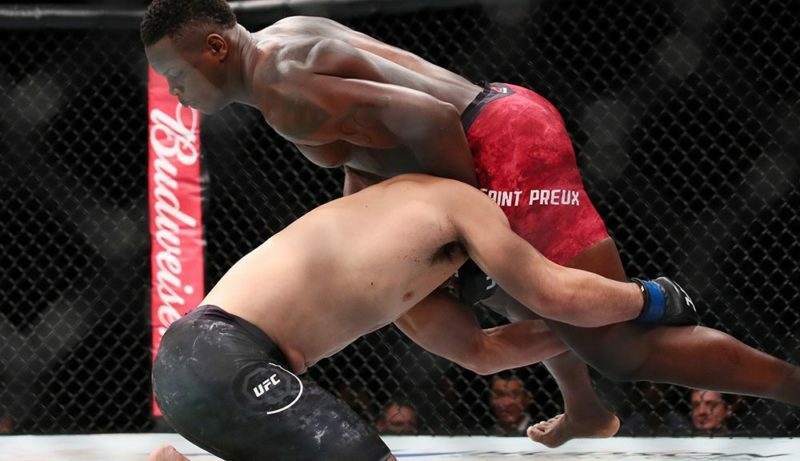 This time around, it was Nelson’s well-timed takedowns and obviously heavy top pressure that would help him dominate the scorecards. The fight began with a touch of gloves but that was all the respect that Ayala would show for Nelson as he began striking away at the ex-UFC heavyweight ferociously. There was no fear of Nelson’s power, takedowns or general attributes as Ayala continued a relentless assault. Nelson, who was probably surprised by Ayala’s athleticism and power, began to control the pace and work away at the body of Ayala. There wasn’t much in the terms of activity from Nelson who was happy to wait for his opportunities to come. Nelson let go of a monster right hand and Ayala slipped underneath it cautiously. After watching it sail past the top of his head, he looked at Nelson and smiled. Nelson then shot in for a takedown and succeeded, as would be the story for the rest of the fight. Ayala played half guard with Nelson on top of him, while Nelson was happy accumulating time in top position. Ayala bumped to shake Nelson but “Big Country” slid straight into full mount. 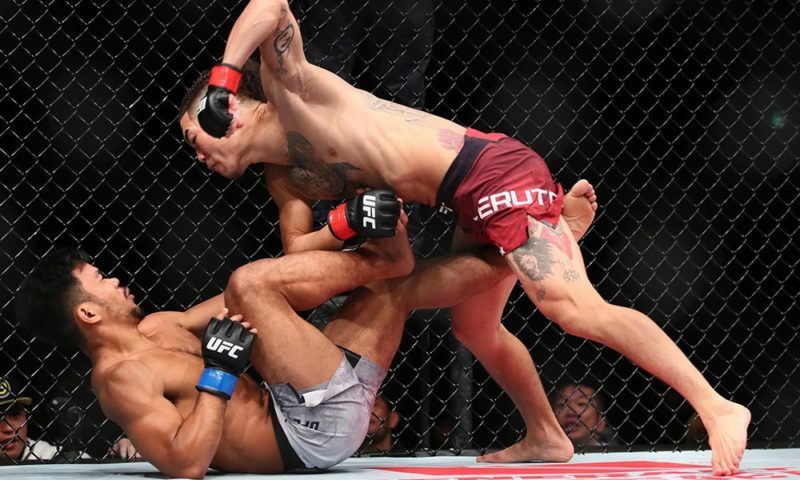 Roy attempted an Americana from side control but Ayala scrambled back to his feet before proceeding to fire off a fast combination on Nelson. It was this combination, combined with some effective striking earlier that would see Ayala win the first round on two scorecards. At the start of round two, Nelson shot in for another takedown. Again, when he is losing the striking battle, he always has the option to drop down to the mat and utilize his jiu-jitsu. Nelson displayed tremendous control of his opponent before taking Ayala’s back and digging for hooks. Before Nelson could attempt a submission, Ayala again scrambled and reversed position and pounded away at Nelson. Nelson again stopped the momentum of Ayala with a takedown. Round three was much the same as Nelson went for a huge double leg takedown and secured top position. Nelson controlled Ayala for the majority of the round and would end the fight by raining down some heavy shots onto Ayala who was unable to work back to his feet. 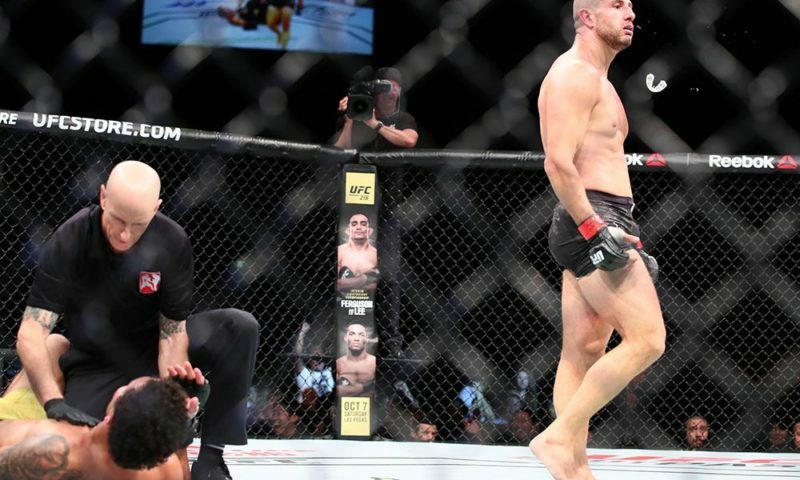 Despite there being lots of laying around, this was one of Nelson’s more memorable fights of recent history. Ayala brought the action to him whenever possible. 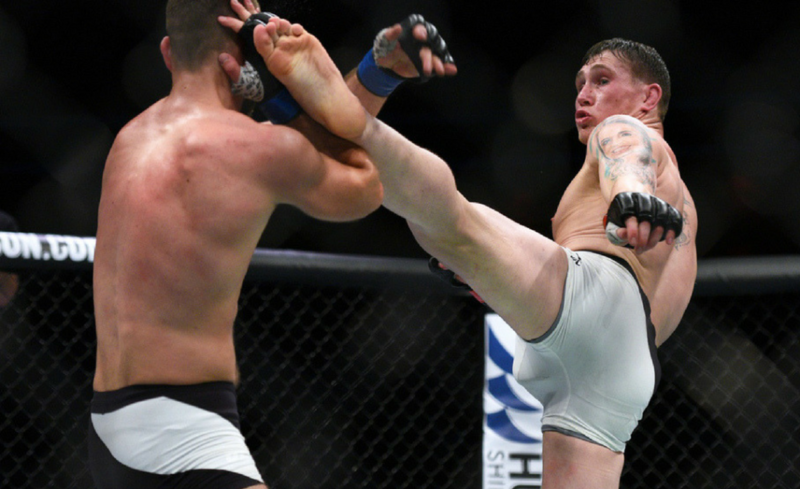 Nelson smartly took this fight to the mat where he had the advantage and worked from there. I wouldn’t say Nelson’s game is evolving, but he is becoming increasingly intelligent inside the cage. His ground game and top pressure are excellent and fighters always struggle when “Big Country” is on top of them. Nelson did struggle to keep up with the more athletic opponent when standing, however. It was a good performance from Javy Ayala. His striking caused concern for Roy Nelson in terms of both volume and power. Ayala also showed that he was able to scramble back to his feet during the first two rounds when required. The only trouble Ayala had was defending the takedowns of Nelson, which seemed all too easy for “Big Country”.